What does the floor is lava mean? The floor is lava! Did you just jump on the couch or at least pick your feet up off the floor? Then you must be playing this universally respected childhood game. If not, we regret to inform you that you have burned up in the flow of molten rock. Sucker. The floor is lava is a game kids (and really cool adults) play where they avoid touching the floor at all costs, instead moving around by walking on furniture, say, or using a jungle gym if outside. It's also become a meme used to describe the things in life we'd rather avoid. 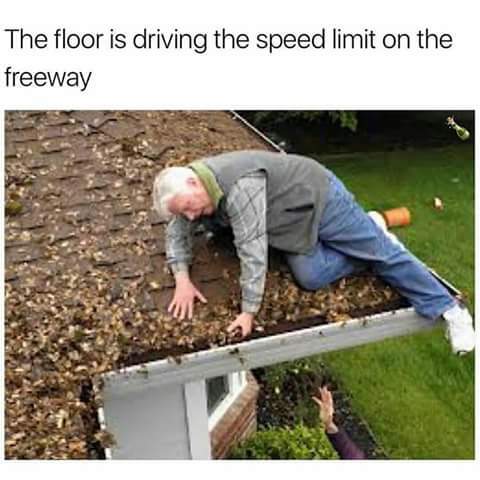 Texas be like: / The floor is lava. / The air is also lava. / There’s lava everywhere. Someone peed on the bus on the way in on the first day of longitude, and we all had to play a quick game of the floor is lava. [I]n Toronto,there's one place where you can play "The Floor is Lava" all you want, without the risk of getting in trouble for it. The Monkey Vault is a 10,000-square-foot facility that is primarily intended for parkour training. While the floor isn't specifically designed as a pool of lava, with a little bit of imagination, the entire area could be your very own lava playground. Where does the floor is lava come from? Since games like the floor is lava spread among kids by word of mouth and folk custom, it’s hard to say just how long it’s been around for. In his 1953 short story The Wish, Roald Dahl describes a boy playing a game where he can only walk on certain parts of his mother’s patterned carpet because the other parts are filled with venomous snakes. Some people report playing the game as kids in places like the US, UK, and Canada in the 1950–1960s. A 2018 sociology paper suggests the game arose in the 1950s as living rooms became bigger and more popular. Another webcomic, xkcd, did a floor is lava-themed installment in 2010, showing kids taking the game to a whole new level by hosing down the floor and calling for helicopter backup. In 2011, a computer game based on the premise was released. It likely did little to stop kids from climbing on the furniture, though. Another floor is lava video game, unrelated to the first, was released under the title Hot Lava in 2016. 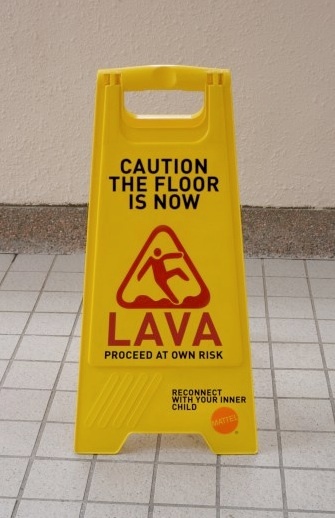 In 2014, scientists from the University of Leicester did the important work of figuring out what would happen if the floor really was lava. Unfortunately, between the gasses coming off the lava and the extremely high air temperature above it, climbing up on the furniture wouldn’t be enough to save you from a floor of lava. The childhood game spawned a meme in 2016. A tweet that April read “Me: I’m gonna go to sleep early this week / Me Tuesday @ 3am:”, followed by pictures of a guy literally bouncing off the walls. Soon, that jumping guy became all of us, and the floor, everything we’re trying to escape. On the flipside, sometimes the floor is something you like. 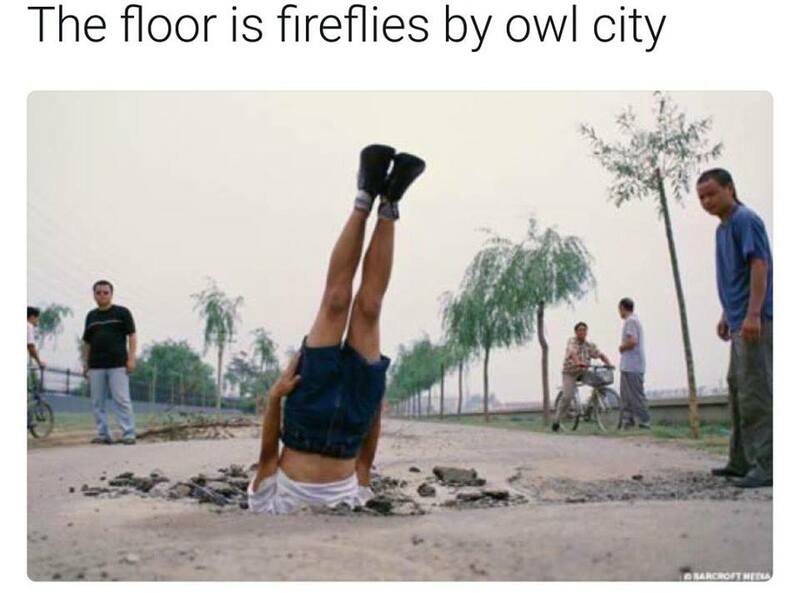 A Facebook post from June 2017 captioned “the floor is fireflies by owl city” shows someone who “dove” headfirst into the pavement over their love of the song. Around that same time, the floor is lava challenge was spreading on Instagram and Snapchat. A video from May 2017 showed a couple playing the game, with one partner announcing the floor is lava and the other trying to get to higher ground in five seconds or less, with hilarious and sometimes disruptive results. As more people joined in, videos began to spread with the hashtag #lavachallenge. 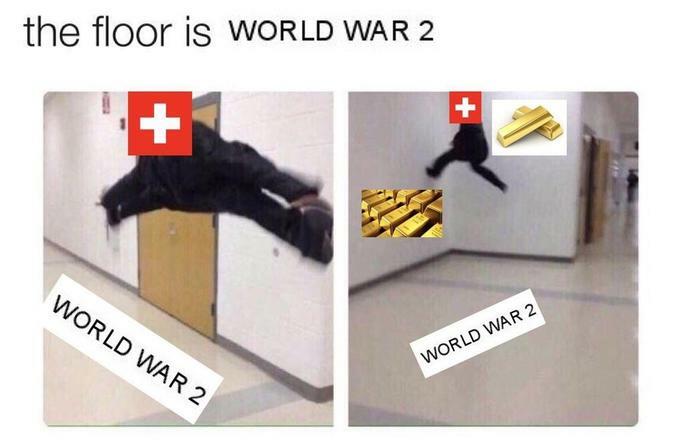 Who uses the floor is lava? Kids still play the floor is lava, and their peers may chime in with their own variants, such as the floor is sharks or the floor is Tremors, alluding to the 1990s cult classic. 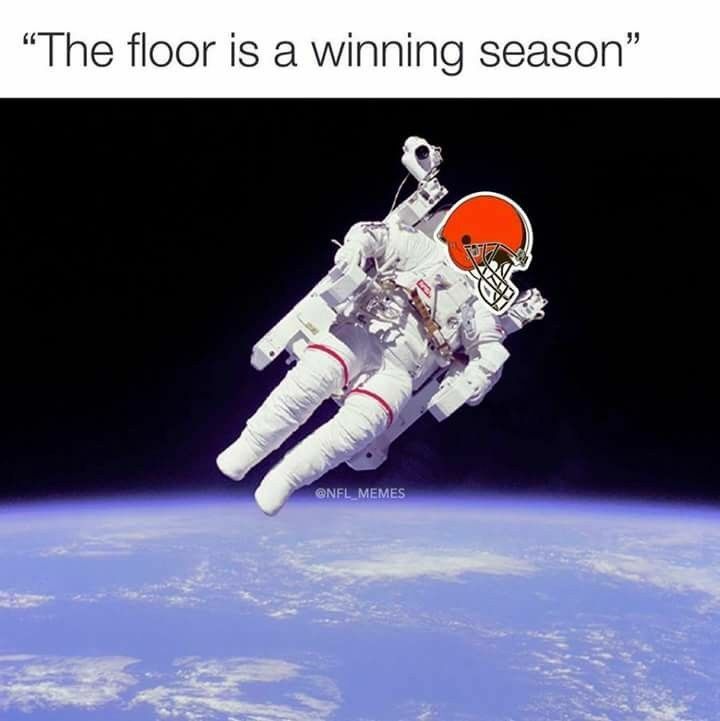 The floor is lava meme is often used for self-deprecating humor. The specific image may change, but the idea remains the same: The floor is whatever you feel you just can’t do or achieve, making you go to extreme lengths to avoid it. The same holds true for the reverse variation, where the floor is something you really like, compelling you to bail right into it. 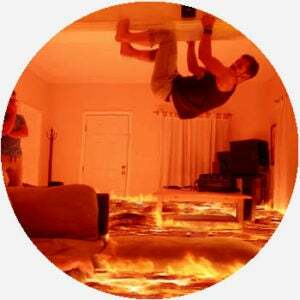 Folks get very creative with the floor is lava meme, whether with imagery or content.